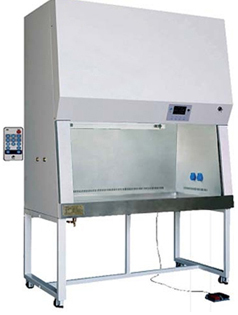 Biological Safety Cabinet is designed to provide both a clean work environment protection to the operator who works with biological hazards. It has vertical laminar airflow to create the barrier to airborne particles & microorganism. HEPA filters are used to provide the clean air in the work area as well as to the environment through exhaust with the HEPA Filter.